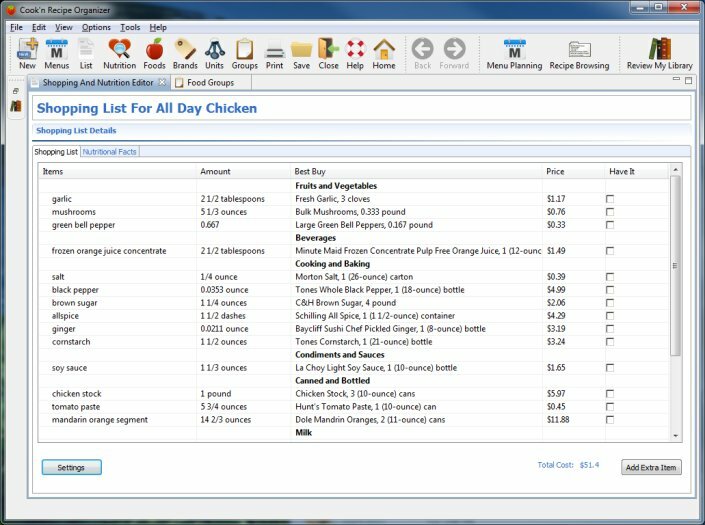 Cook'n contains a powerful recipe calculator! 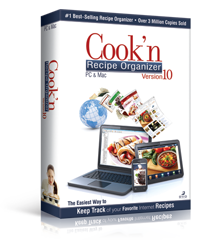 Easily organize your recipes and tweak the content and serving sizes with a click of the mouse! 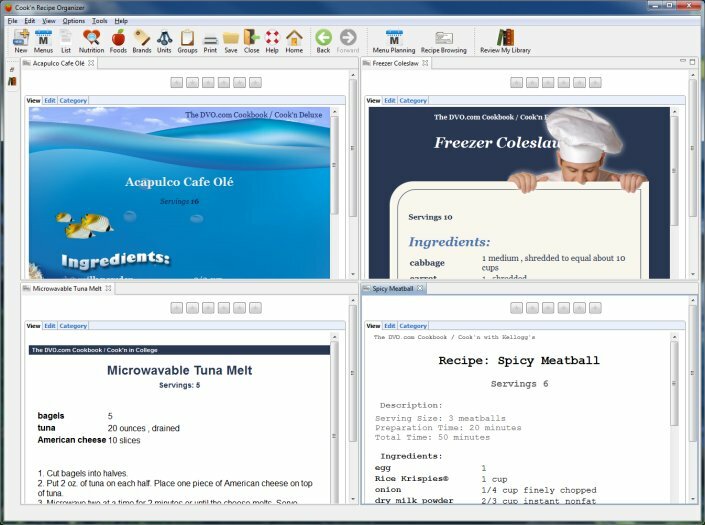 Organizing your family recipe collection in the computer is easy with Cook'n. 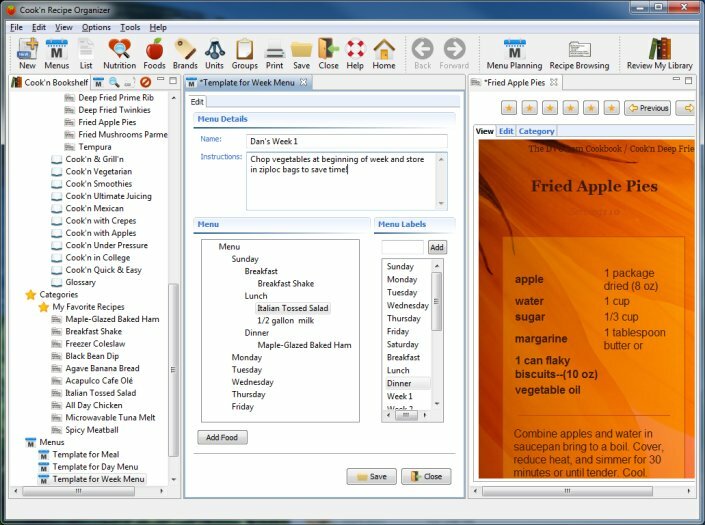 You already know how to put in your recipes, that's because Cook'n's recipe window looks just like a recipe card. And, "Quick-Fill" editing does much of the typing for you. 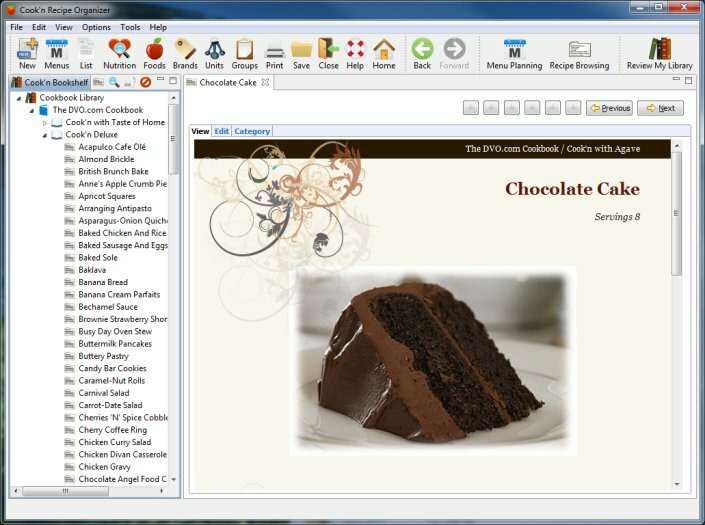 Cook'n has simple cookbook-like chapters and categories that make it easy to find your recipes fast. Cook'n makes it simple to calculate the nutrients your body is receiving. After typing in a recipe, simply click a button for the information you need. Save you a ton of time by analyzing nutrition in seconds!